December 15, 2018, was a celebration of Wreathes Across America. 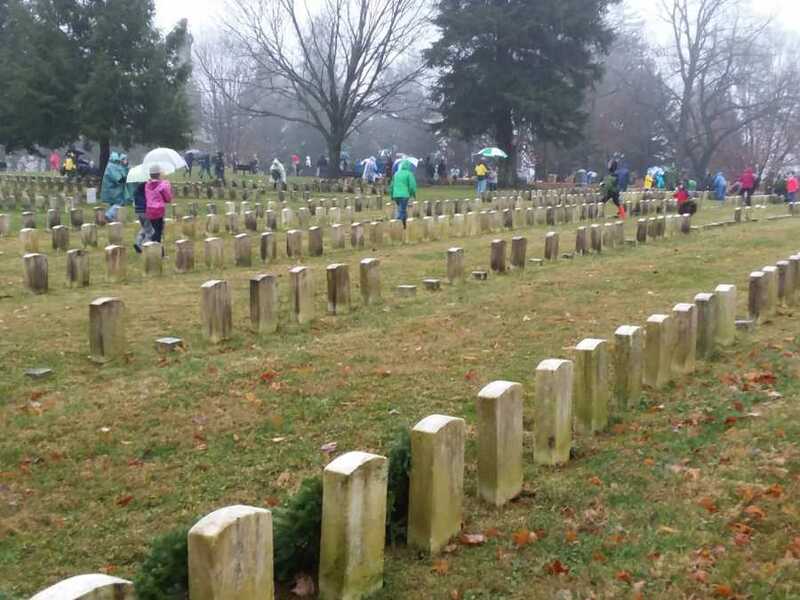 Thousands of volunteers gathered at military veteran cemeteries around the United States to string wreathes upon the tombstones and grave sites of fallen soldiers. Those who fought in the civil war of the 1800s to the most recent wars of the 21st century Iraq-Afghanistan. 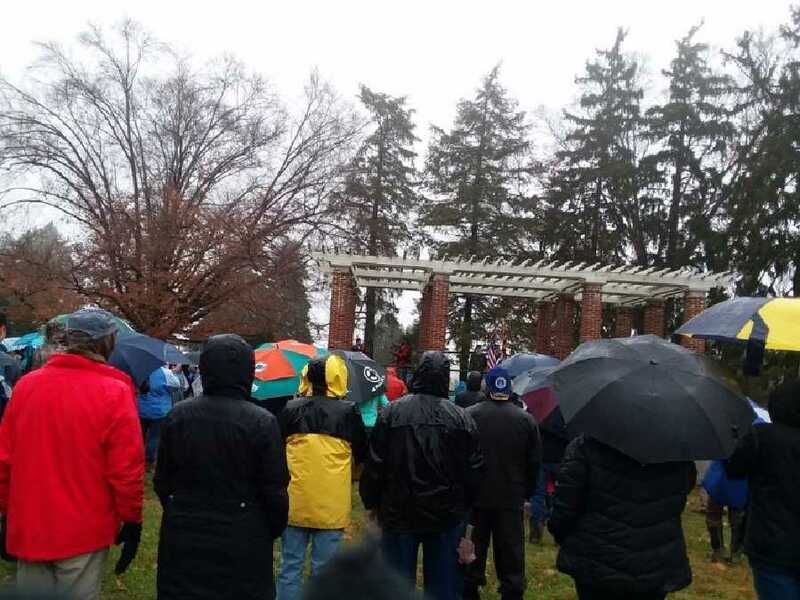 On this past December 15th, it was a cold and rainy day, but people gathered, young, old, black, white, from Maryland, DC, Virginia, and afar stood as in a crowd to participate in laying of wreathes. I was among one the many who drove out to the Antietam Battlefield Cemetery in Sharpsburg, Maryland. The War of Antietam was fought during the late summer of September 1862. It was hot and it was bloody. Two mighty generals—Confederate of Northern Virginia Robert E. Lee and Union of Potomac George B. McClellan came face to face in Union territory culminating in a fight where over 22 thousands were counted dead, wounded or missing. 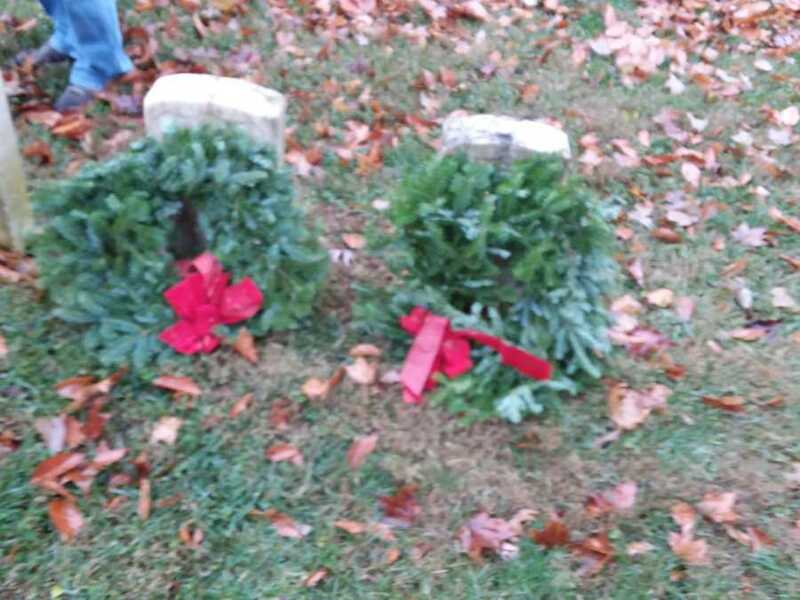 Sharpsburg, Maryland is the location were many were laid to rest from that civil war battle and that battlefield cemetery is where Wreathes Across America paid homage during the 2018 Christmas holiday season. Thousands of wreathes were laid in a row upon the back of grave sites or on top of tombstones. The quietly somber afternoon met with a peaceful pleasantry that in itself was solemnly beautiful. The rain, cold, and cloud cover was like a blanket of supporting spirits. Proud to be identified as a military (Army) Brat. My father spent his career serving on active duty. He fought for a short time during the latter part of the Vietnam War and retired over 26 years later. The resounding anthem that echoed, “We Will Never Forget You,” played out in the down pouring rain this morning at the Antietam National Cemetery. Hundreds of volunteers braved, sacrificed, and honored the fallen veterans laid to rest at this historical site. No the rain won’t stop me nor the cold or distance many of us had to drive. Moms, dads, children, motor cycle groups, young, old, black, white all showed up to pay their respects and to repeat the words under banner of the U.S. Flag and anthem music played. “Thank you, We Will Never Forget—to pay tribute at Christmas time, with over 3,000 wreathes streaming down the rows as they were laid one by one. Volunteers carried one, two, and three wreathes strung upon their arms; children and adults alike marched through the mud with rain boots, sneakers and a smile, while the humbling event took place. We all knew what we were doing and for who. Yet mystically festive, green wreaths with red bows lifted from cardboard boxes were set in place. It was a spiritually inspiring occasion and “site for sore eyes to see.” Rows and rows of green and red wreathes laid atop and at the backside of soldier’s headstones. Those who fought in the battle of Antietam, included six black soldiers whose grave sites were plotted towards the back right-side of the cemetery were recognized and honored aloud. Also included among those honored on that December 15th rainy afternoon was a local soldier who was killed aboard the USSS Cole in 2000, and all of the military branches of the armed services—Army, Airforce, Marines, Navy, Coast Guard, Merchant Marines were all called out and led by a processional honoree carrying a representative wreath. Those who were lost, never to be returned to their families were also called out, with the words saying “We Remember You Too!” Who can recall what happened at Antietam? That civil war battle that took place long-long ago… It was hot and described as the bloodiest field army level engagement in the Eastern sector. The Battle of Antietam was also the preface for Abraham Lincoln’s initiation of the Emancipation Proclamation draft. The final executive order was issued on January 1, 1863. We all know that freedom comes with a cost. Let us “Never Forget” our history or those who fought to set many free. Like Jesus Christ our ultimate savior, who Father God allowed to be sacrificed so that all men can be made free– be a reminder of the liberties we are all given to live and love one another. The National Association of American’s mission is to do just that for our veterans and their family members. Thank you for the opportunity to share our events, resources, and testimonies over the past year 2018. We look forward to a 2019 New Year of blessings, and grace to help preserve and save the lives of others, and with brand new experiences in life. Please remember us in your giving this year and never forget who or what you are fighting for. This entry was posted in News and Events, Organization News. Bookmark the permalink.